Get ready! 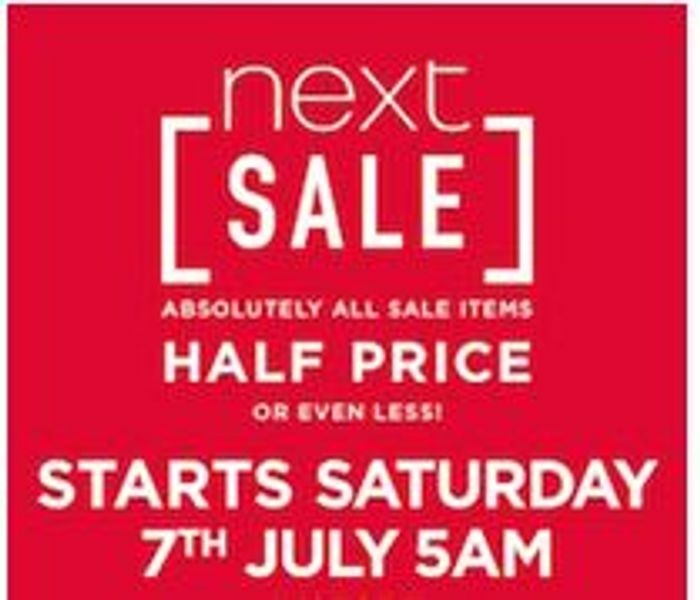 I'm expecting the NEXT Sale to start on Saturday! Hope it does they always have some good deals in the sale. the next sale always have good deals, thanks for the reminder and hope I can grab some bargains! Anyone know what time it's meant to start online? Abiskup Thank you very much. I've updated this post to say Saturday. Have to say I really hate using the Next website - such an old layout and hard to find stuff I like. I think I’ll chance it by going instore when it happens - let the pushing and shoving begin! Thanks for your comments everyone. Great I hope you find some great deals too.